As the students walk through the gates of Galgotias University, the bounce in their step for a brighter future is greatly noticed. 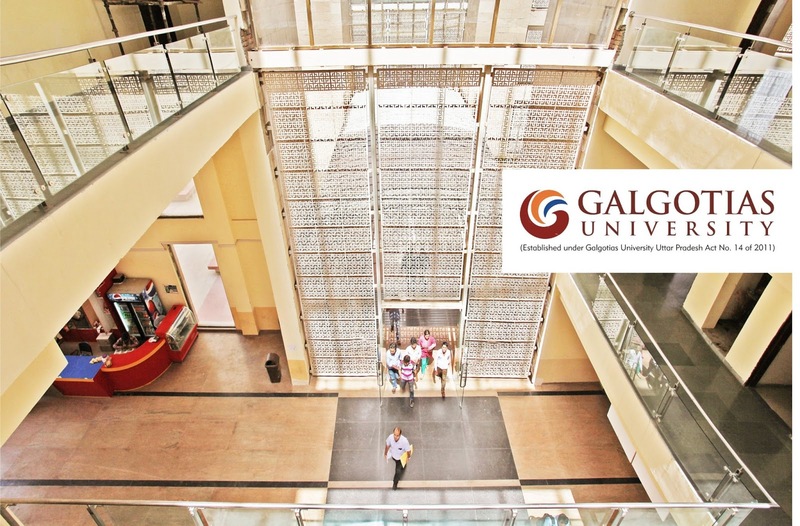 The Galgotias University campus in Greater Noida caters to every need of their students. The knowledge imparted through extra-curricular activities only enhances the overall development of each student. Galgotias University’s mission is to graduate socially responsible future technologists and business leaders with good communication skills, problem solving skills and an entrepreneurial spirit with a commitment to economic development. With a strong multidisciplinary knowledge base, graduates of GU will be well prepared to succeed in an increasingly competitive global economy. Issue: I passes out of B.Tech in 2009, but when i went to get refund of my security of 20,000 in the year 2009, i was told that the final year fees had been increased so i will not get any refund.I was not even provided a receipt of increased fee. Instead I was forced to pay Rs.400 more so as to settle my dues and be eligible to get my graduation degree. Legal Help: One of my friends (Rohit Singh) did bring lawyers along with him and he met the registrar, who when apprised of the High Court decision very reluctantly waived off the fee hike for just him, not for hundreds of other students like me who could not get legal help. Complaints/Feedback: When i posted this complaint on the FB page of the college my comments were deleted. They do not respond to any communication. So i have been trying to raise this issue through the help of other forums like yours. Next Step: I am considering going to consumer court against my college. I hope you can bring this issue to light and help the student community make the "Right Choice". With reference to above I may write to inform that I was given admission to your institute in September, 2007 for studying the B.Tech (EEE) course. At the time of admission Rs. 20,000/- has been deposited as security deposit of college & hostel. My Admission no. is 4385. Sum of Rs.10000/- and Rs.10000/- were got deposited by you as Caution Money/ Security Deposit and Hostel Security Deposit respectively. I have successfully completed my above said course in the year 2010-11 but till today College has not refunded me the Security amount of Rs. 20,000/- despite several verbal requests personally as well as telephonically. It is once again expect that you refund the sum of Rs.20000/- IMMEDIATELY. An early action shall be highly solicited.